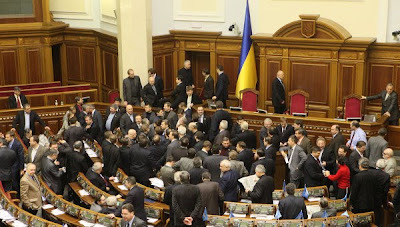 KIEV, Ukraine -- Ukraine's parliament on Wednesday voted to support a recent decision to reverse a 2004 reform that curbed presidential powers. Ukraine parliament backs 2004 reform reversal. Ukraine's Constitutional Court boosted the powers of President Viktor Yanukovych earlier this month by ruling that the 2004 reforms, introduced during the Orange Revolution that brought ex-president Viktor Yushchenko to power, had been unconstitutional. Yanukovych, who was elected in February, said in his Constitution Day address to the nation on July 6 that the reform had caused a "misbalance" and a "serious crisis of power," and proposed reviewing the constitution. He said recently that the Constitutional Court's decision does not threaten Ukraine's democracy. But the opposition says the move will turn Ukraine into an authoritarian state.